This entry was posted on Thursday, November 20th, 2008 at 3:44 am	and is filed under Asides, Travel, WtF.. You can follow any responses to this entry through the RSS 2.0 feed. You can skip to the end and leave a response. Pinging is currently not allowed. Well Phil’s card was refused anyway and apparently at the exchange rate as it is now I could have afforded to eat all the puffins I want! Can we get some Christmas Spirit Please JSP? Where the hell is the tree? Hope all is well with the whole jury duty thing, go 12 angry men on their asses! Happy Tico! 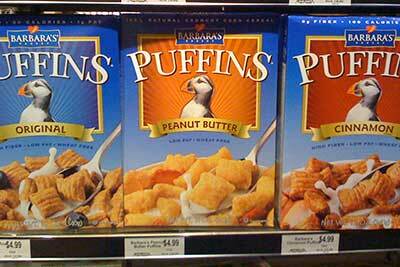 Speaking of puffins, JC, I’ve had a few reminders of you lately. 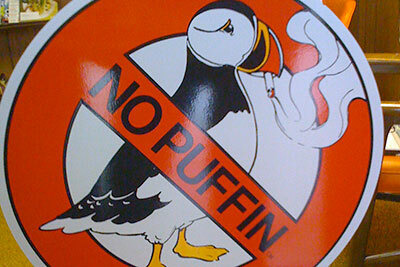 I’ve been searching all over for the no puffin signs to post on our wildlife refuge.